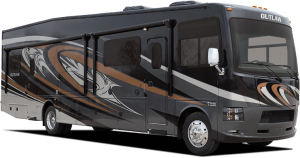 thor-outlaw-class-a-toy-hauler - Welcome To The General RV Blog! 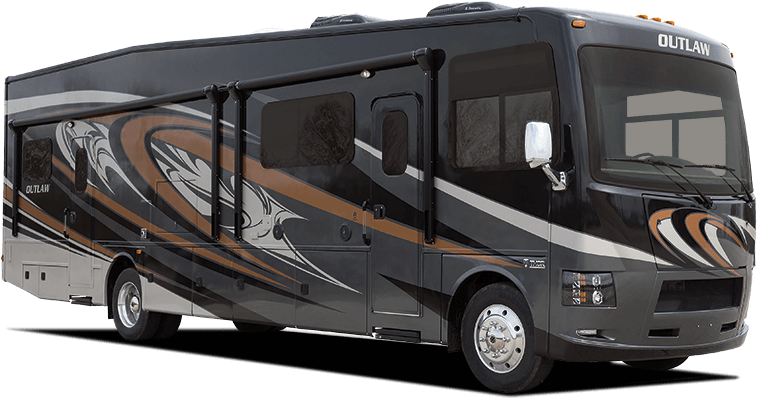 Outlaw by Thor Motor Coach is a new breed of class A gas motor homes that have changed the game for motorized toy haulers. Owners can take all of their favorite toys along with them on their adventures and for those who don’t have anything to haul other than family, Outlaw has two ultimate residential editions with spacious living areas. Interior features include high-glass solid wood cabinetry color options, drop-down zero-G ramp door, snap-in patio system and garage tread plate with non-slip flooring. Exterior features include a remote filling station with pump and nozzle, full basement pass-through storage, and a tough Ford F-53 chassis.